One of the things my mom and I enjoy doing together is visiting historic sites. We love to tour grand old homes, and learn about the history of the house and inhabitants. 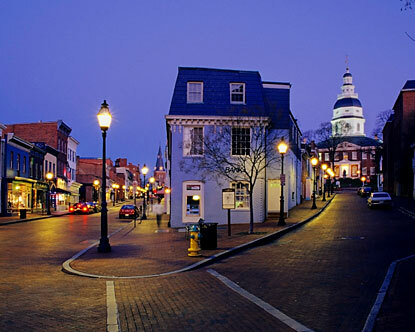 This weekend we took a little day trip to Annapolis. If you’re ever near, you must go. It is a beautiful and quaint town. The Historic District is full of retail shops and restaurants. You can stumble into an array of antique shops, and wander through streets packed with row houses, and walk right up to the State Capitol. Annapolis was home to several of the signers of the Declaration of Independence, and many of their homes are available to tour. We chose to tour The William Paca House & Garden, built in 1763. I didn’t bring my camera on our trip, so the photos I’m sharing were found online (the Paca House doesn’t allow indoor photography, anyway). I did snap a few on my phone, and if you follow me on Instagram you probably saw a few garden photos. We started our tour in the garden of the home, which is a serene escape from modern life. It is incredible to think that, until the late 1960’s, the gardens were covered by an entire hotel that had been built on the premise (the original home was the entrance to the hotel). 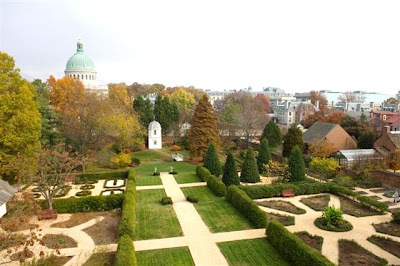 This is truly an example of wonderful historic preservation, as The Historic Annapolis Foundation acquired the properties, and returned the home and gardens to their original state. As I stated, indoor photography was not allowed. The only photos I could find of the interior are provided by Reel Scout, so they’re a little wonky. But these will give you an idea of the beauty of the home. The blue in this parlor is amazing! (I’m not sure I would choose the red upholstery, but different era, right?!). You can see the upper level railing is a Chippendale design, while the balusters going up the staircase are a turned wood. I learned that the two styles were used because the Chippendale style was less expensive, and the home owners wanted to show their money where it counted – where more people would see (the turned wood balusters). 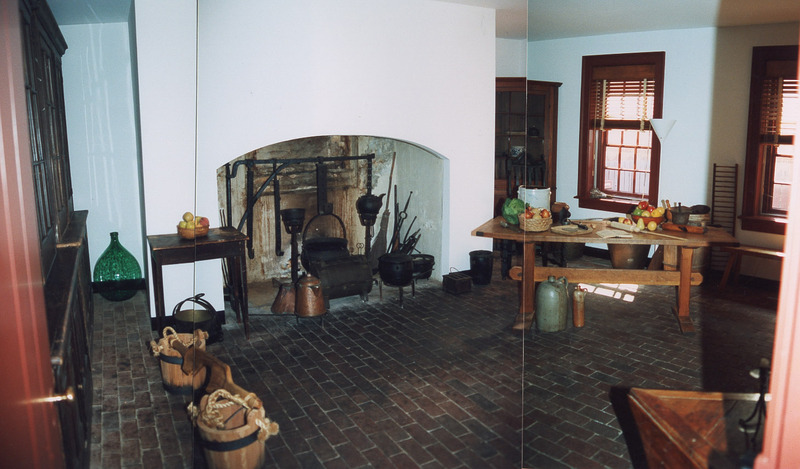 I don’t think this kitchen would make any of us envious, but evidently, “back in the day” this kitchen had the newest gadgets! I wish I could show you more of the interior. But hopefully I’ve enticed you enough to visit if you’re in the area!